Posted on 19 April, 2018 by Dana Hanson Posted in God Time Devotions, The Gospel Primer	. How do people usually use the Bible? For me, the most important thing about our identity is this. We are children of God. I am God’s son. You are God’s daughter. 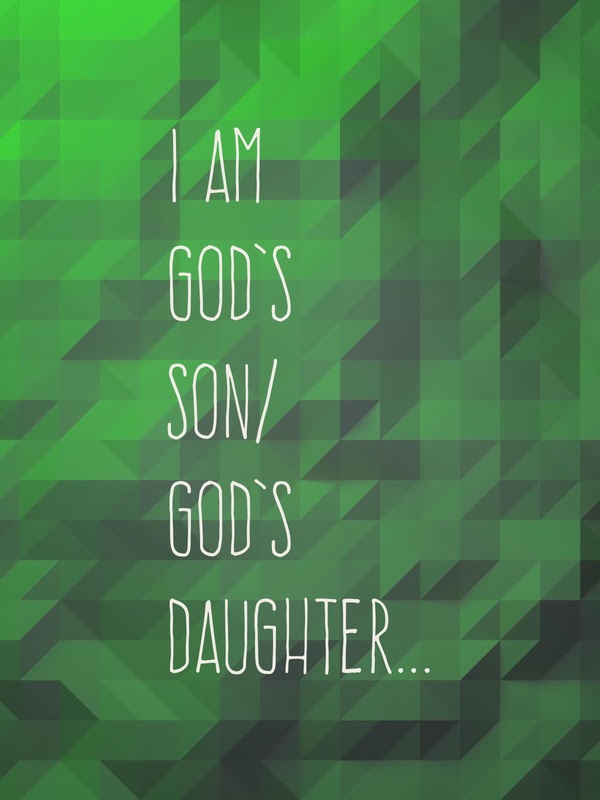 And we are created to be like our Father. In fact we are created in his image. We can hear the words of Father, Son, and Holy Spirit talking about us at creation. We get to have the same relationship as God in the Trinity. Enjoying life together, serving each other, always treating each other with love and respect. God invites us into the same relationship he has in the Trinity for eternity. A life of joy, where we are glad to be with each other, a life of love, working for the good of each other, and a life of peace, where we live in complete sufficiency. Every person you have ever met has this same invitation. Even though we rebel against God and our image gets cloudy, we do not despair. God is in the rescue and restore business. It is God’s desire to rescue and restore us, and Jesus comes to the world to begin this process so all of creation, including you and me, can be who God created us to be. I like to say it this way. Let us make make mankind in or image, to be like us, so that they may have responsibility over the fish in the sea, the birds in the sky, over the livestock and all the wild animals, and over all the creatures that move along the ground. We are created in God’s image and share his identity in order to share his authority and with authority he gives us the power to be able to do what he is telling us to do. Because we share God’s identity we share his authority and with the authority God gives us power to do what he wants done. How do we know what he wants done? We stay in relationship with him. Adam and Eve had an amazing opportunity in their lives. They got to hang out with God in the Garden. To be that close to God is his intention for all of us. Well, we know how Adam and Eve’s story went. They rebelled. And all of creation changed. This rebellion continues. People don’t want God in their lives. And if you don’t want God in your life, he will honor that request. God doesn’t force anyone to enter his story. Forced love isn’t love. God allows us to be lost. But, God doesn’t give up. If you seek God, he will find you. You can be his son, his daughter, now. You can have the authority of your Father to transform the world around you. You can have the power to actually do this. Joining God in his cause to rescue and restore.